Freddy Krueger was a common reoccurence in my nightmares from a very young age. Even before I had seen the movies, the posters and pictures were enough for my juvenile mind to go on a tangent of terror. I would lay in bed at night completely afraid of something I had built up to be the ultimate evil. I have vivid memories of Freddy Krueger scenes that never once existed in the films, yet seemed so real to me, living out through my childhood nightmares. By the time I actually watched the series, I was completely obsessed. The first time I watched it, the film haunted me for months, with specific scenes playing over in my head as I would get up to go to the bathroom at night, making those trips faster and faster for fear of my own safety. 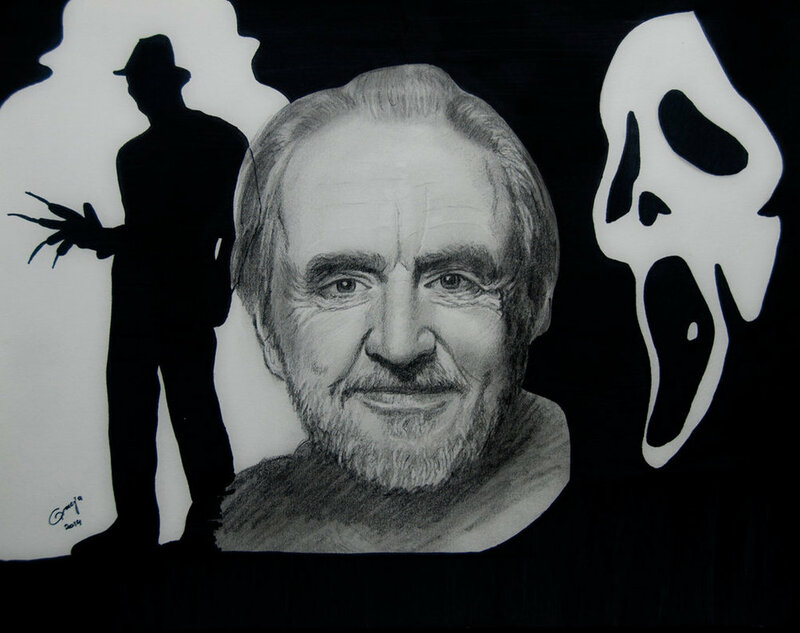 I have Wes Craven to thank for all of that. He created what is to this day one of my favorite horror films of all time. I watch the entire series multiple times a year and is a point of bonding when meeting new people. Those that like Freddy Krueger are usually pretty cool people. That's because the world that Wes created haunted the dreams of every one of us, creating a unique bond between us all. Sure, I'm sure many had scary dreams of Jason Voorhees, but entering Freddy's territory night after night was whole new territory. To this day I love introducing the original Elm Street to new people. The last time I showed it to someone, it was my college girlfriend, and I made sure that all the lights were off and that it was late at night. Watching the film and going through that journey with Nancy Thompson is one thing, but then having to sleep after it? That's where Craven's brilliance really comes into play. All of his films are such a psychological play that it make them so much fun to dissect afterwards. And the great thing about horror movies is that they stick with you an unusual amount of time when they do their job right. Craven was always excelled at that. The Nightmare On Elm Street series was really all Craven had to give me in order for me to consider him one of the greatest ever but then he went ahead and brought us Scream. Elm Street may have been the movie that got me into horror but Scream was the movie that got me into horror screenwriting. While Craven didn't write it (that honor goes to Kevin Williamson) you can see his mark all over it, truly helping to shape it into the final product. Seeing that movie opened up my mind to so many ideas, I thought that every one of them needed to be a movie. Eventually I finished my first screenplay and it was completely a Scream knock-off because I just wanted to emulate what I loved so much. I'm not going to pretend that Craven was always perfect. In fact, I'd say that half of his filmography isn't my bag but he was a visionary who always tried to do something different. Hell, I still consider Red Eye one of the greatest "plane movies" ever, which isn't even given the limiting gimmick. If you want to dive more into Craven's career, I wrote something up for WIGS that you can read here that has some recommendations. The passing of Wes Craven has affected me more than I thought it would. He was one of horror's all time greats and without him repeatedly advancing the genre, who's to say the shape it would be in today. Early on in my life I would have considered him my favorite director and that's because his movies made such an impact that the answer seemed obvious. And that's really all you can ask for in life. Making an impact.